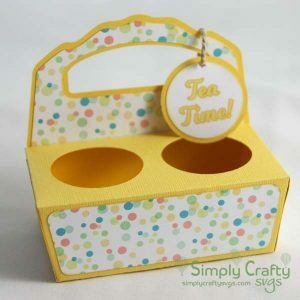 Use this FREE Curved Treat Box SVG File to make a small treat box for any occasion. Design comes with SVG cutting files for the box itself and the 2 side panels. This box can be modified in so many ways. Finished size of this curvy box svg file is 2” x 2” x 2.5” tall. 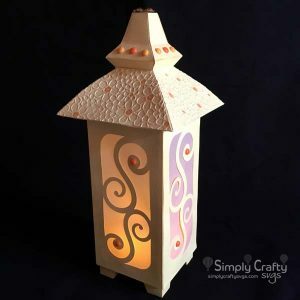 However, you can size it up by a little less than 3″ for most die cutting machine limitations with 12″ x 12″ mats. Happy holidays sentiment not included. 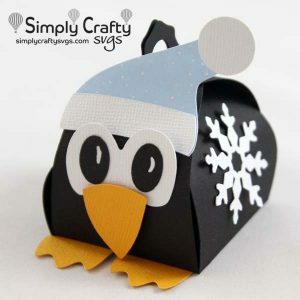 Here is a version of the box using the pieces of the penguin from the Penguin Christmas Box Card. 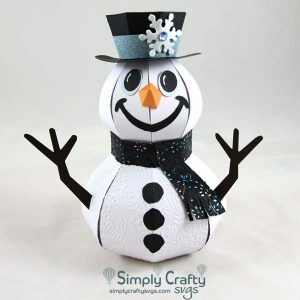 A snowman would be cute too!